The Parliamentary Friends of Australian Books and Writers (PFABW) celebrated its first anniversary in late September with a record number of attendees at Parliament House. Launching the Australian Reading Hour for 2018, co-chairs Assistant Minister the Hon. 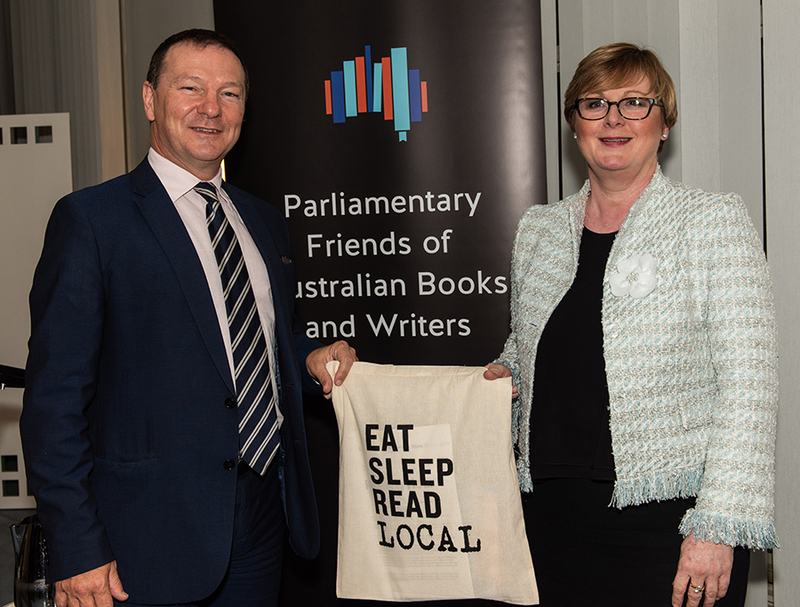 Linda Reynolds CSC and Graham Perrett MP, noted they were pleased with the turn out for such a young Parliamentary Friends group, and that Australian leaders demonstrated their support of the sector that brings Australian books to the public. Keynote speaker Australian Children’s Laureate Morris Gleitzman spoke artfully about the connection between children looking to books and leaders for inspiration and as such, there’s a need for Parliamentarians to keep the Australian book industry and Australian stories in their sights. Author and Australian Reading Hour Ambassador, Judy Nunn, spoke about her development as a writer, and her desire to share with Australians the stories from our country that had sparked her imagination. Graham Perrett MP also promoted the work of the Friends group as well as Australian Reading Hour at the Federation Chamber on 19 September. View presentation here. 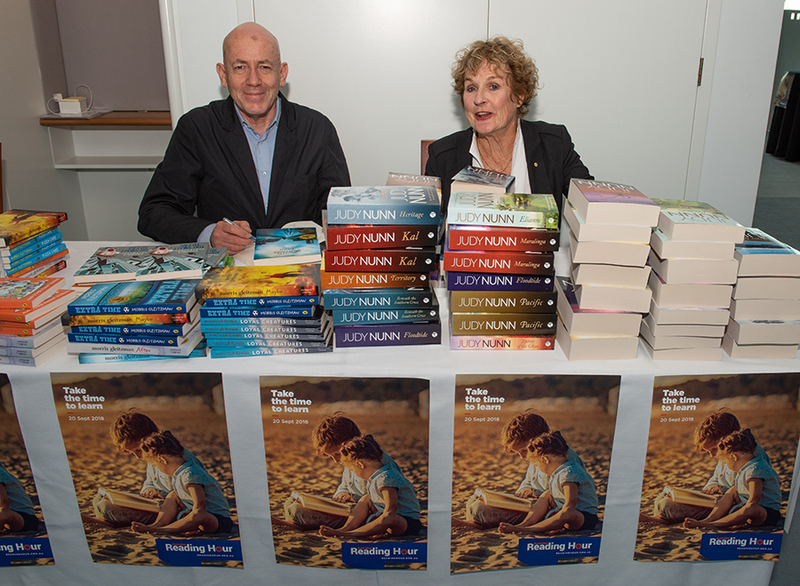 Australian Children’s Laureate Morris Gleitzman and Australian Reading Hour Ambassador Judy Nunn sign copies of their books at Parliament House. Photo: Irene Lorberg Photography. Graham Perrett MP and Assistant Minister the Hon. Linda Reynolds CSC celebrate the first anniversary of Parliamentary Friends of Australian Books and Writers in Canberra. Photo: Irene Lorberg Photography. This story originally appeared on the Australian Publishers’ Association website on 26 September 2018. See the original story here. Images courtesy of Australian Publishers’ Association. Image Credit: Image courtesy of Australian Publishers' Association. Photo: Irene Lorberg Photography.